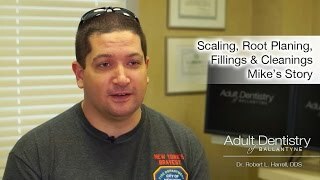 Teeth cleanings at Adult Dentistry of Ballantyne are simpler and more effective than ever before. Our talented hygienists use the latest tools to give your teeth the most in-depth and comfortable treatment possible. Ultrasonic scalers use undetectable ultrasonic vibrations to remove plaque and tartar from the teeth. A specialized water jet, known as a prophy jet, is used to complete your cleaning. The prophy jet sprays a mixture of water and baking soda onto the teeth to remove any leftover plaque. The solution also neutralizes acids in the mouth, which can harm your enamel. Finally, the teeth are polished, leaving them smooth and shiny. The entire cleaning process leaves your teeth healthier, and makes them look and feel great, too. Regular professional teeth cleanings are critical for healthy teeth and gums. In the months between, it’s up to you to take proper care of your smile. First and foremost, everyone knows that brushing at least twice daily is imperative. But, not everyone realizes that there is a right way to do it. Use a gentle, circular motion on each tooth, and be sure to cover each surface as well as the gum line. Take care not to brush too hard and always use a soft-bristled toothbrush. Using too much pressure or a hard-bristled brush can damage your gums and tooth enamel. 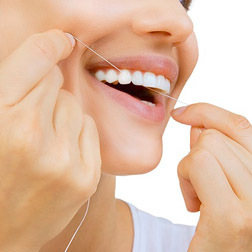 Flossing is another vital cleaning procedure you should perform every day. Flossing removes plaque from places that a toothbrush cannot reach, such as between the teeth and just below the gum line. Accumulation of plaque in these areas is the primary culprit behind the development of gingivitis and periodontal disease. 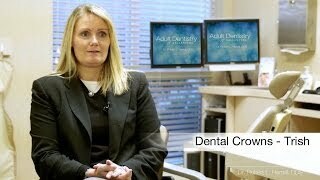 At Adult Dentistry of Ballantyne, teeth cleaning is one of our most important services. The process not only keeps your teeth clean and healthy, but also creates an opportunity for you to discuss with Dr. Robert Harrell any dental problems you may be experiencing. This allows him to identify problems as they’re developing and correct them before they’re significant. 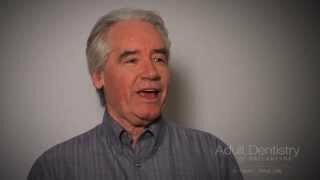 Contact Adult Dentistry of Ballantyne today to schedule a teeth cleaning appointment. Call us at 704-764-1388 or use the contact form on this page. Take the first step to a brilliant, healthy smile by setting your cleaning appointment.